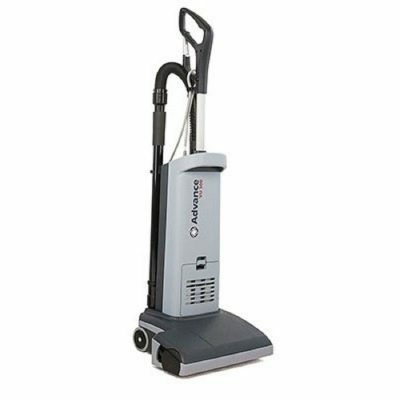 The Advance VU500™ 15 inch delivers exceptional cleaning performance in an easy to use, easy to maintain upright vacuum that is designed to withstand stringent environmental requirements. 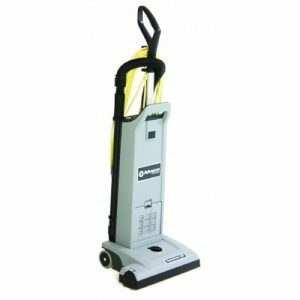 Automatic, self-adjusting brush height ensures proper cleaning performance and maximum productivity when cleaning different floor surfaces. 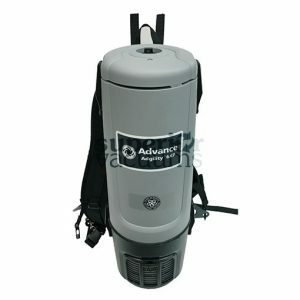 With the Advance Radius Turning System, the VU500 delivers exceptional maneuverability to optimize operator efficiency. 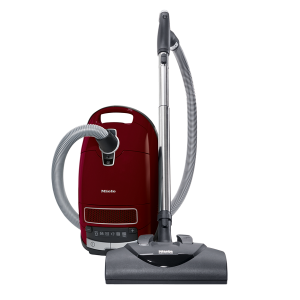 The VU500 provides excellent indoor air quality with three-stages of filtration, including true certified H.E.P.A., that will contain >99.97% of all dust, pollen, bacteria, allergens, and other particles >0.3 microns. Meets LEED requirements with CRI Seal of Approval (Silver) and low sound levels.